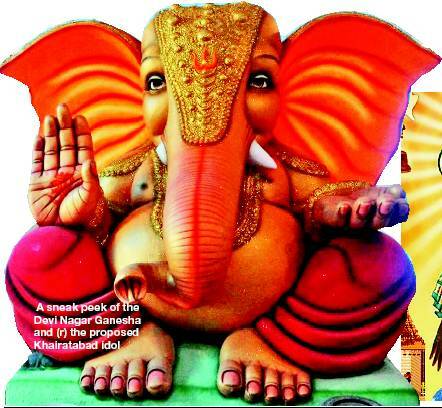 Who popularized Ganesh Chaturthi as a national festival? Till 1893, Ganesh Chaturthi celebrations were a private affair, not done on a public scale. People used to celebrate it in a traditional manner. It was Lokmanya Tilak who popularized Ganesh Chaturthi as a national festival, after visualizing its cultural importance. The reason for this was to enhance the sense of belongingness as well as togetherness among the citizens. 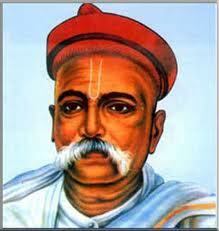 It was also done with an aim to build a new grassroots unity between the Brahmins and the non-Brahmins. Ganesh Chaturthi was an important festival during the Peshwa rule in Maharashtra. It acquired a more organized form all over India during the Swaraj movement, when Lord Ganesha was chosen as a rallying point for protest against British rule, because of his wide appeal as “the God for Everyman”. One of Tilak’s strongest movements to evoke nationalism, through religious passions, was the organization of Ganesh Chaturthi in Maharashtra, which inspired feelings of Hindu unity in the state. Bal Gangadhar Tilak was the first person to install large public images of Ganesha in pavilions and he was the one who established the practice of submerging all the public images on the tenth day of the festival. Ganesh Chaturthi soon started seeing community participation and involvement, in the form of cultural events. It also served as a meeting point for common people of all castes and communities, at a time when social and political gatherings were forbidden by the British Rule. ‘Ga’ symbolises Buddhi (intellect), ‘Na’ stands for Vijnana (wisdom). So, Ganapati is the master of Buddhi and Vijnana. The universe is sustained by Ganas (gods) and Ganapati is their master. In this world, everybody has a master, but Ganapati has none. He is a master by himself. This is the birthday of the Master of Masters. Ganapati is also called Mooshika Vahana (one who has a mouse as his vehicle). You may wonder how a small mooshika can carry on its back a hefty personality like Vinayaka. Here mooshika does not mean a mere mouse. It symbolises the darkness of ignorance because it is in darkness that the mouse moves about. Hence, Mooshika Vahana is one who subdues ignorance and dispels darkness. It is only when we understand the inner significance of the Vinayaka principle that we will be able to celebrate Vinayaka Chaturthi properly. Vinayaka is also called Vighneswara (remover of obstacles). No obstacle can come in the way of one who prays to Vinayaka. 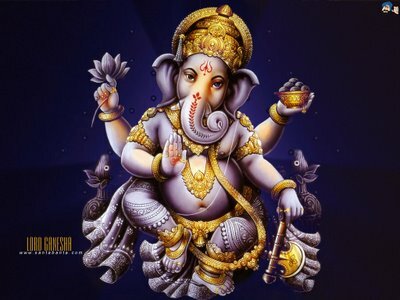 Worship of Vinayaka confers success in spiritual as well as worldly endeavours. God grants happiness at two levels, Pravritti (outward) and Nivritti (inward). Pravritti is related to physical body whereas Nivritti to intellect. The former undergoes change with the passage of time, whereas the latter remains unchanged. Hence, one should try to reduce body attachment with proper food and habits. Today people perform Vinayaka worship without actually understanding its significance. Vinayaka symbolises the qualities of a true leader in all aspects. “Viyate Nayake Iti Vinayaka” meaning, He is a master unto Himself. In this world Vinayaka is worshipped by many. However, Vinayaka does not worship anyone as He has no master above Him. Even Easwara, the father, worships His son Vinayaka, but it does not happen the other way. Repentance is the basis for the glorious life that follows. To recognize this truth, you worship Lord Vigneshwara. What is Ganesh Chaturthi & Ganesh Festival? The festival of Ganesh Chaturthi marks a day on which Lord Ganesha makes his presence on earth for all his devotees. The festival lasts for up to 10 days (depending on the place where it is celebrated), ending on Ananta Chaturdashi. Ganesh Chaturthi is one of the most popular festivals of the Hindus. This festival is observed in the month of Bhaadrapada according to the Hindu calendar and usually falls any day between 20th August and 15th September. The festival is marked with preparation of mouth watering delicacies and exchange of Ganesh gifts. Ganesh Chaturthi falls on the fourth day after new moon in the Hindu month of Bhadrapada (August – September). Ganesha is the remover of obstacle – Vighneshwara or Vignaraja – and is always invoked when Hindus are beginning a new enterprise. It is believed that Goddess Parvati created Ganesha out of clay and breathed life into him. Letting him stand guard at the door, Goddess Parvati went to have her bath. When her husband, Lord Shiva returned, the child who had never seen him stopped him. Ganesha did not allow Shiva to enter and finally an enraged Shiva severed the head of the child. Goddess Parvati returned to find her son dead and was distraught and asked Shiva to revive him. Shiva cut off the head of an elephant and fixed it on the body of Ganesha and giving birth to elephant-headed Ganesha. The origin of public celebration of Ganesh festival is traced to the period of Chatrapati Shivaji Maharaja, the great Maratha ruler, who asked people to perform public celebration to promote culture and nationalism in the 17th century. The large-scale Ganesh festival of today was revived by Lokmanya Tilak, freedom fighter, in the last decade of 19th century in Pune to spread the message of freedom struggle and to defy the British who had banned public assemblies. Ganesh Festival is also attracting lot of criticism from environmentalists and nature lovers primarily due to pollution caused by the use of Ganesh idols made of Plaster of Paris. Hinduism and Nature are so entwined that one cannot be separated from another. Ganesha itself is a classic example. But still we Hindus do little to stop pollution. At least we can stop creating more pollution in the name of Ganesha by only buying natural Ganesh idol and natural items for Ganesh Puja. It is still forbidden to look at the moon on that day as the moon had laughed at Ganesha when he fell from his vehicle, the rat. With the immersion of the idol amidst the chanting of “Ganesh Maharaj Ki Jai!” (Hail Lord Ganesh). The festival ends with pleas to Ganesha to return the next year with chants of “Ganpati bappa morya, pudcha varshi laukar ya” (Hail Lord Ganesh, return again soon next year. Another tale tells of how one day the Gods decided to choose their leader and a race was to be held between the brothers- Kartikeya and Ganesh. Whoever took three rounds of the earth first would be made the Ganaadhipati or the leader. Kartikeya seated on a peacock as his vehicle, started off for the test. Ganesh was given a rat, which moved swiftly. Ganesh realised that the test was not easy, but he would not disobey his father. He reverently paid obeisance to his parents and went around them three times and thus completed the test before Kartikeya. He said, ” my parents pervade the whole universe and going around them, is more than going round the earth.” Everybody was pleasantly surprised to hear Ganesha’s logic and intelligence and hence he came to be known as the Ganaadhipati or leader, now referred to as Ganpati. He looked up and saw the moon mocking him. Ganesha infuriated, broke off one of his tusks and hurled it at the moon. Parvati, seeing this, immediately cursed the moon that whoever looks at it on Ganesh Chaturthi will be accused of a wrong doing. The symbology behind the mouse and snake and Ganesha’s big belly and its relationship to the moon on his birthday is highly philosophic. The whole cosmos is known to be the belly of Ganesha. Parvati is the primordial energy. The seven realms above, seven realms below and seven oceans, are inside the cosmic belly of Ganesha, held together by the cosmic energy (kundalini ) symbolized as a huge snake which Ganesha ties around Him. The mouse is nothing but our ego. Ganesha, using the mouse as a vehicle, exemplifies the need to control our ego. One who has controlled the ego has Ganesha consciousness or God-consciousness.